Today we were up and out of the resort early to visit two sites, in the morning the New Testament Church of God, Retirement, and the Garlands Hall Memorial for the physically ill and mentally challenged. 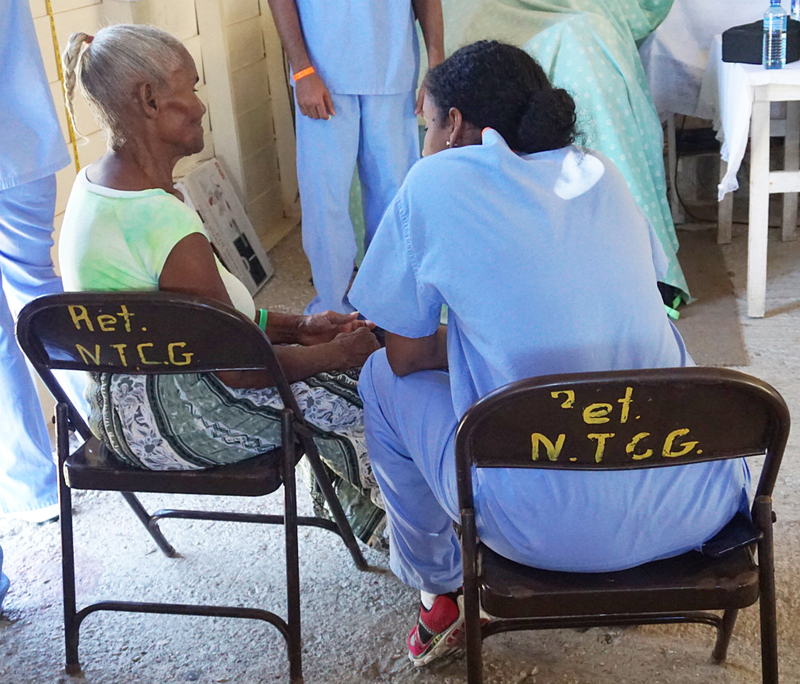 In the morning, we provided blood pressure, blood glucose, and BMI screenings at the New Testament Church of God, Retirement. Students recalled a recurrent theme of struggling to find ways to suggest a DASH diet to people who were of low socioeconomic income and did not have easy access to a grocery store and whose diet was not familiar to their own. Luckily, our resourceful professor Dr. Gordon was able to track down the Jamaican version of the DASH diet, which proved very helpful at the education station our mini-clinic. In the afternoon, students spent time at the Garlands Hall Memorial. Students brought out beads and string to make friendship bracelets and necklaces, as well as, puzzle games for the older children. Students found it interesting to see how school is a very formal occasion for the children, and how very inquisitive, well-spoken and polite they were. After a long day of travel and very hot weather, the group returned to resort ready for a seafood dinner and a long night’s rest!